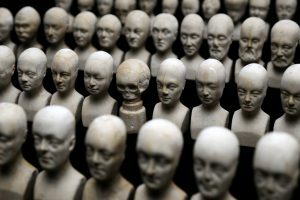 The Science Museum of London has a set of 60 eerie little plaster heads that look like miniature death masks. Johann Gaspar Spurzheim (1776-1832), a well-known 19th century phrenologist, commissioned these bizarre relics to help his students study phrenology. As phrenology became popular in the early 19th century, practitioners needed reference collections to aid their research. Doctors and anatomists could easily acquire human skulls, often by robbing graves, for their phrenology collections. But the general public wanted affordable cranial libraries of their own and these tiny plaster busts would have satisfied that demand. 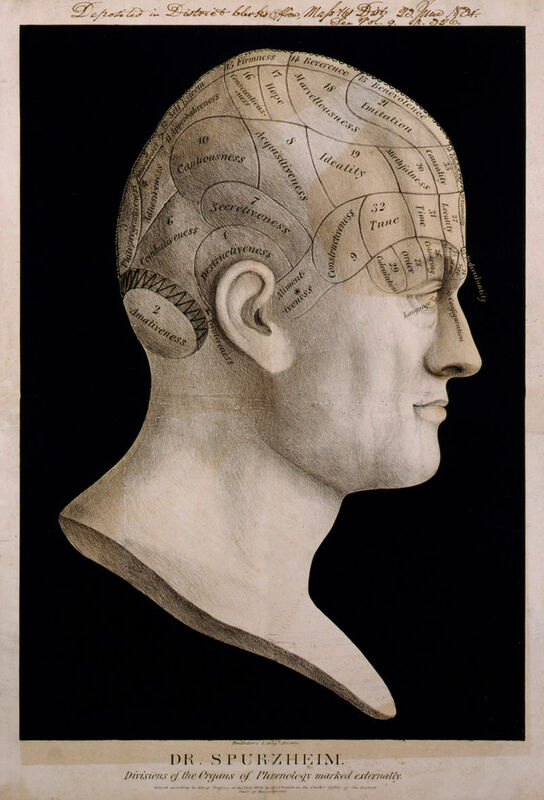 Phrenology, meaning study of the mind, was based on the idea that the brain was an organ of the mind. Practitioners believed that the mind has a set of mental faculties that are controlled by different areas of the brain, called brain organs. These “brain organs” could be large or small depending on an individual’s personality traits or intelligence. Phrenologists believed the shape of the skull would correspond to these organs, forming bumps and depressions. They believed that they could ascertain a person’s character and intellect by measuring these cranial features (Aldersey-Williams 2013). 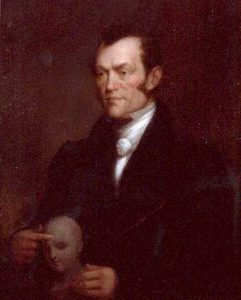 Franz Joseph Gall (1758-1828), a neuroanatomist and psychologist, developed phrenology at the end of the 18thcentury. Johann Gaspar Spurzheim was Gall’s lecture assistant and dissectionist until he decided to start his own competing system (Aldersey-Williams 2013). It was Spurzheim who coined the term “phrenology,” added to Gall’s list of brain organs, and organized them into a hierarchical system (“Johann Gaspar Spurzheim,” n.d.). His list of organs included: amativeness (physical love), combativeness, secretiveness, individuality, and imitation. Spurzheim helped to commercialize phrenology by lecturing across Europe and America. As the study of phrenology became trendy, his research was published in several languages and went through numerous editions ((“Johann Gaspar Spurzheim,” n.d.). But phrenologists needed more than books and lectures to learn this fashionable “science,” they also wanted to see three-dimensional examples of cranial features. It was easy for those in the medical field to acquire collections, but people didn’t typically have access to real human skulls. Spurzheim saw this need, so in 1832 he commissioned artist and phrenologist William Bally, who had worked with him since 1829, to scale down a collection of plaster heads that he felt best-represented phrenological traits (Cliff 2014). Because these little busts were based on casts taken from live and dead subjects, each 3-inch head has individualized features. Each miniature bust was numbered and came with a description that was printed by Spurzheim (Cliff 2014). and knowledge, and we recommend it strongly to our readers. The whole set, with descriptions, are sold for two guineas. made to the science for several years. line backward, both sides are of the same size and form. In 1951, the Wellcome Historical Medical Museum acquired the set that is now at the Science Museum in London. Other sets are in the collections at Johns Hopkins University and the Kulturen Museum in Sweden (Cliff 2014). Phrenology was eventually debunked and discredited but it did influence early forensic scientists like Cesare Lombroso and Alexandre Lacassagne. 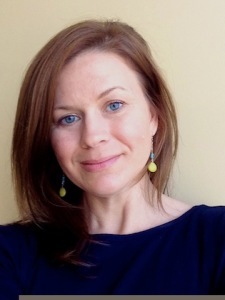 Aldersey-Williams, H. (2013). Anatomies: A cultural history of the human body. New York, NY: W. W. Norton & Company. This entry was posted in History, Pseudoscience. Bookmark the permalink.